In 1880, Auguste Rodin was commissioned to create a set of bronze doors for a proposed museum in Paris. The museum was never built, but The Gates of Hell became Rodin’s most ambitious endeavor, taking over twenty years to complete. During Rodin’s lifetime, The Gates was exhibited only once, in plaster. In 1977, Rodin’s intention of casting the plaster in bronze was fulfilled when American art collector and financier B. Gerald Cantor and his wife, Iris, commissioned a casting of the monumental work using the traditional and painstaking lost-wax process. When finished, it stood nearly 21 feet high and had taken more than three years to complete. This cast of The Gates of Hell was the first time in more than a century that such a large-scale lost wax bronze pouring had been attempted. 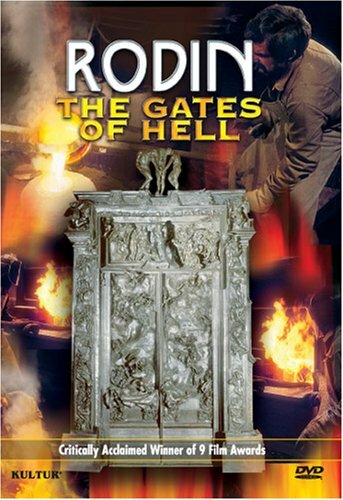 This DVD documents the triumphs and difficulties encountered during the casting of this eight-ton work and chronicles the life and work of Rodin –from the challengers of his early career to his later years of success and fame. 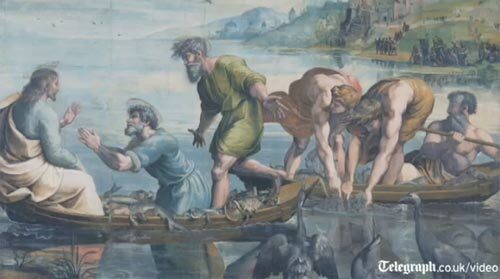 The Victoria and Albert Museum has unveiled Raphael’s Sistine Chapel tapestries along with their original cartoons for the first time in 500 years. And the full article here.